Not to be confused with Hanshin, which is Japanese. The Hanjin Group (Hangul : 한진 그룹; Hanja : 韓進 그룹; RR : Hanjin Geurup) is a South Korean conglomerate, or chaebol . The group is a holding company that includes a shipping company, Hanjin Shipping (including Hanjin Logistics), and Korean Air (KAL), which was acquired in 1969. The Revised Romanization of Korean is the official Korean language romanization system in South Korea proclaimed by the Ministry of Culture and Tourism to replace the older McCune–Reischauer system. The new system eliminates diacritics and apostrophes in favor of digraphs. Hanjin started at the end of World War II, in November 1945. Early on, its biggest customer was the U.S. Army, providing the transportation of material to both Korea and Vietnam. 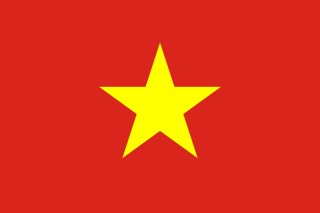 The company signed a major contract with the US 8th Army in November 1956, and another contract in March 1966, with all of the U.S. armed forces in Vietnam, including the Army, Navy, and Air Force. In November 1969, Hanjin made its entry into the containerized shipping business signing a deal with Sea-Land Service, Inc. In September 1970, the company opened its first container yard at the port of Busan. Busan, formerly known as Pusan and now officially Busan Metropolitan City, is South Korea's second most-populous city after Seoul, with a population of over 3.5 million inhabitants. It is the economic, cultural and educational center of southeastern Korea, with its port—Korea's busiest and the 9th-busiest in the world—only about 120 miles (190 km) from the Japanese islands of Kyushu and Honshu. The surrounding "Southeast Economic Zone" is now South Korea's largest industrial area. 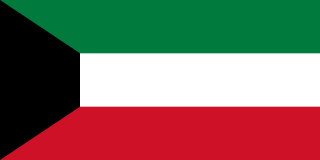 The late 1970s saw a major push into the Middle East with contracts signed to Kuwait at the port of Shuwaik (September 1977), Saudi Arabia at the port of Dammam (March 1979), and at the port of Jeddah (May 1980). In March 1990, Hanjin branched out into trucking and warehousing with the purchase of Korea Freight Transport Company. In June 1992, Hanjin Express was introduced to deliver small packages and provide courier service. The company started to load and unload cargo at the ports of Long Beach and Seattle with the joint venture Total Terminals International LLC., in August 1992. In January 1993, they initiated container rail service between Pusan and Uiwang. In May 1995, Hanjin hauled grain to North Korea. The Hanjin-Senator once was the seventh largest container transportation and shipping company in the world (operations ceased February 2009). Uiwang is a city in Gyeonggi Province, South Korea. It is one of many satellite cities that ring Seoul, making up the Seoul National Capital Area. Its largest immediate urban neighbor is Anyang. The low peaks of the Gwangju Mountains shape the local landscape. Korean Air Lines Co., Ltd., operating as Korean Air, is the largest airline and flag carrier of South Korea based on fleet size, international destinations and international flights. 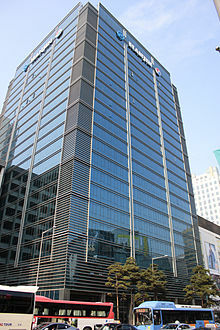 The airline's global headquarters are located in Seoul, South Korea. Korean Air was founded as Korean National Airlines in 1946. After several years of service and expansion, the airline was fully privatized in 1969. Hyundai Glovis Co., Ltd. is a logistics company headquartered in Seoul, South Korea and part of the Hyundai Kia Automotive Group. Its predecessor company, Hankook Logitech Co. Ltd was formed in February 2001. Hyundai Glovis supplies ocean transportation logistics advice, cargo space, loading/unloading, and packaging services. It changed its name to Hyundai Glovis in June 2003. Hyundai Engineering and Construction Co., Ltd. KRX: 000720 is a major construction company in South Korea. The company was founded by Chung Ju-yung in 1947 as the Hyundai Civil Works Company and was a major component of the Hyundai Group. Hyundai Construction and Hyundai Engineering merged in 1999. 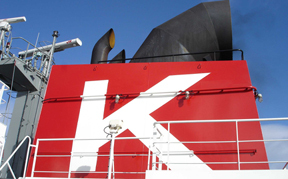 Kawasaki Kisen Kaisha, Ltd. is a Japanese transportation company. It owns a fleet that includes dry cargo ships, container ships, liquefied natural gas carriers, Ro-Ro ships, tankers and container terminals. It is the fourteenth largest container transportation and shipping company in the world. CMA CGM S.A. is a French container transportation and shipping company. It is a leading worldwide shipping group, using 200 shipping routes between 420 ports in 150 different countries, ranking fourth behind Maersk Line, MSC and COSCO. Its headquarters are in Marseille, and its North American headquarters are in Norfolk, Virginia, United States. Senator Lines was a German based container transportation and shipping company headquartered in Bremen. The company was formed in 1994 with the merger of DSR-Lines GmbH (Rostock) and Senator Linie GmbH & Co. KG (Bremen). Cho Yang-ho is the chairman and chief executive officer of Korean Air, chairman of the Hanjin Group, and a founding member of SkyTeam alliance. Hanjin Shipping Co., Ltd. was a South Korean integrated logistics and container transport company. Prior to its financial demise, Hanjin Shipping was South Korea's largest container line and one of the world's top ten container carriers in terms of capacity. Lotte Logistics is a Korean logistics and shipping company headquartered in Seoul, Korea, established in 1988. It is a subsidiary of Lotte Corporation. Hyundai Merchant Marine is the world's 14th largest container line in terms of vessel capacity. HMM, moves the largest portion of South Korea's exports, becoming the number one Korean national containers carrier, mainly since Hanjin service termination . The Hanjin Venezia, formerly named the Cosco Busan, is a 275 m (902 ft) container ship. On 7 November 2007, it collided with the protective fender of the Delta Tower of the San Francisco–Oakland Bay Bridge in heavy fog. The collision sliced open two of its fuel tanks and led to the Cosco Busan oil spill in San Francisco Bay. She was renamed the Hanjin Venezia after the accident. The Port of Yingkou is an international seaport in Yingkou, Liaoning, People's Republic of China. It is the second-largest port in northeast China and the tenth-largest nationwide. It includes two separate dockland areas, the Yingkou old port at the mouth of the Liao River, and the Bayuquan port located directly on Liaodong Bay on the Bohai Sea. The Port of Qingdao is a seaport on the Yellow Sea in the vicinity of Qingdao, Shandong Province, People's Republic of China. It is one of the ten busiest ports in the world. Korea Aerospace University is a private university in Goyang, Gyeonggi, South Korea. Established in 1952 as a national university, it was taken over by Jungseok Foundation established by Hanjin Group and transferred to a private university. The university — which encompasses most of the aerospace fields including Aerospace & Mechanical Engineering, Electronics, Telecommunications, Computer Engineering, Air Transportation and Logistics, Aeronautical Science & Flight Operation, and Air and Space Law — has been designated to take several national undertakings and collaborative research projects with prominent global corporations including GE, Airbus, PLANSEE since 2009.
International Transportation Service (ITS) is an American container terminal company that deals with the receipt and shipment of containerized cargo in domestic and foreign trade. 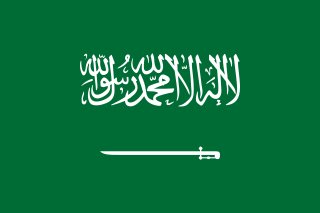 ITS is owned by K Line. The CONEX box was developed during the Korean War and was used to transport and store supplies during the Korean and Vietnam war. It was reinvented by Malcom McLean to form the standard Intermodal shipping container that is used widely by container shipping companies today. APL Logistics Ltd. (APLL) is a wholly owned subsidiary of Kintetsu World Express, Inc. (KWE), a Japan-based freight forwarding and transportation company. As a global supply chain specialist, APL Logistics offers a comprehensive range of origin and destination services in more than 60 countries, serving the automotive, consumer, industrials, and retail verticals, as well as providing transportation as a service. Headquartered in Singapore, APL Logistics has locations across the globe. Cho Won-tae, also known as Walter Cho, is a South Korean businessman. He has served as the president of Korean Air since 2017. 1 2 3 Kim, Jaewon (Nov 13, 2016). "Korean Air Lines faces turbulence from its founding family". The Financial Times. Retrieved 27 February 2017. ↑ Paris, Costas; Nam, In-Soo (31 August 2016). "Move by South Korea's Hanjin Shipping Roils Global Trade" – via www.wsj.com.